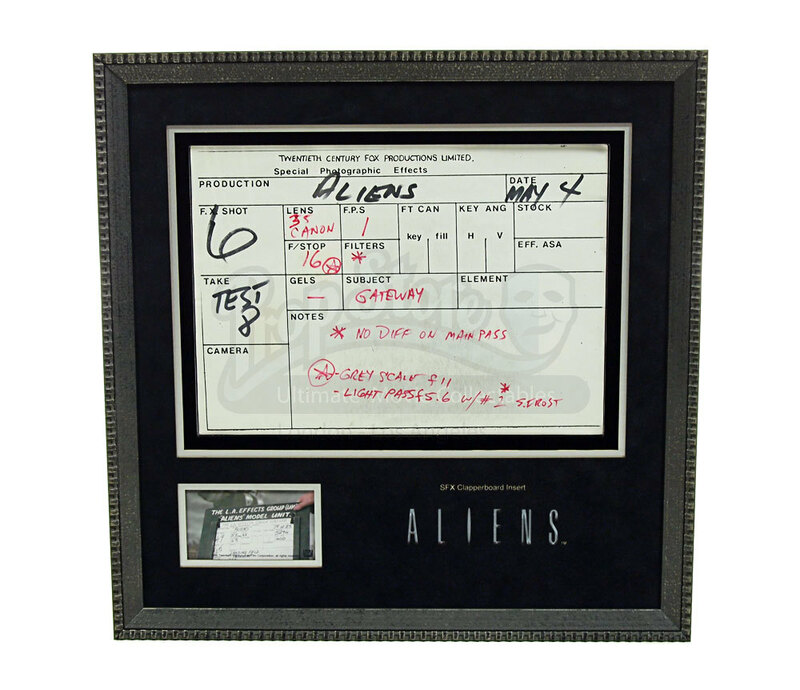 An original production used clapperboard insert used on the set of the James Cameron sci-fi classic Aliens. These wonderfully unique pieces were used whilst filming the special visual effects on the movie and differed from the typical write and wipe clapperboards in that each take was written on a separate sheet of paper and slotted into a universal board that simply featured the black and white clapper. 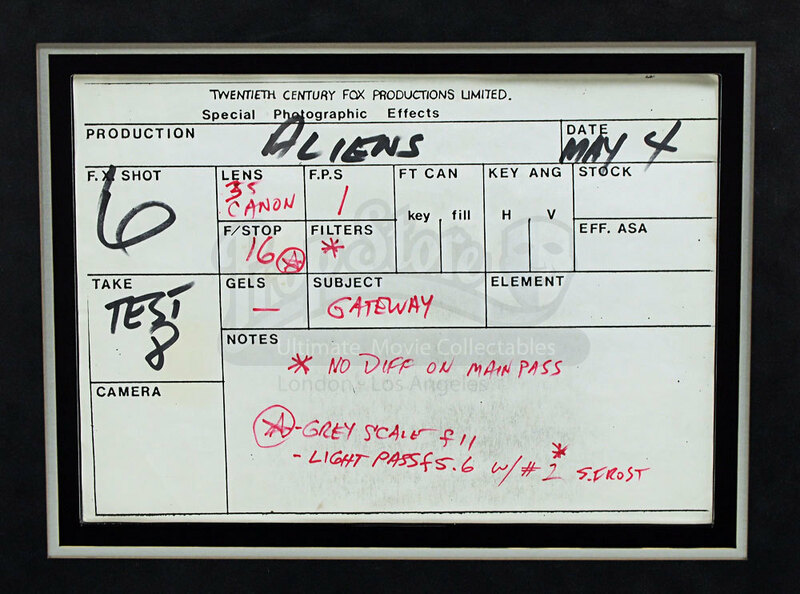 The handwritten page has a wealth of information on including lens, filters, f-stop and very detailed notes, as well as the usual movie title, shot, take and date. This particular page was written using black and red ink and was a test shot of the gateway. It comes presented in a custom built opening display that supports the piece between two acrylic sheets to allow easy access and as little impact on the piece itself. 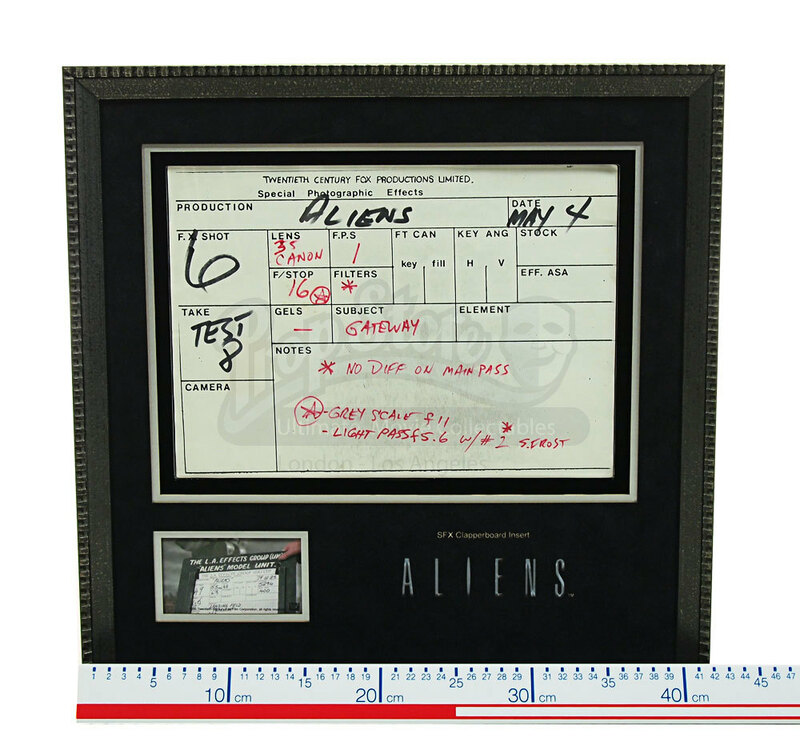 The frame measures 43cm x 43cm (17“ x 17“) and utilises laser cut mount board featuring the movie title and a still of a similar sheet in use on set.